You are here: Home / Beauty and the Beast for $9.99 at Target next week! If you missed out on getting Beauty and the Beast when it was first released, you have another chance. Based on the ad scans that have been leaked, there should also be a $5 off any Blu Ray priced at $16.99 or higher in the Target ad on Sunday (excludes The Search for Santa Paws). The regular price for the Beauty and the Beast Blu Ray/DVD combo at Target is $24.99, so it will be $9.99 after the $5 in ad coupon and the $10 manufacturer’s coupon. This sale will only be in effect through Wednesday, so if you want to take advantage of this deal, I recommend going early in the week before they sell out! 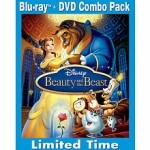 The best deals on Beauty and the Beast! Hot Toys ‘R Us deal on Beauty and the Beast! 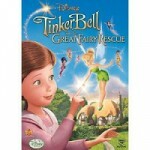 Hot deal on Tinkerbell and the Great Fairy Rescue and other new Disney releases! 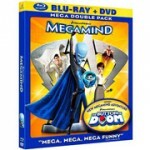 Save $5 off Megamind on Blu Ray and DVD! The best deals on The Search for Santa Paws!